Chapter 7 Bankruptcy is known as the fresh start or liquidation bankruptcy. If you have credit card debt, medical bills, a personal deficiency judgment, a court judgment, and or a wage garnishment, then Chapter 7 may be something to consider, as advice of bankruptcy attorneys Joliet. A Chapter 7, if you qualify, can eliminate most unsecured debts. Generally, a Chapter 7 Bankruptcy can take anywhere from 3 to 6 months to complete. Chapter 13 is known as the reorganization or payment plan bankruptcy. If you do not qualify for a Chapter 7 or have assets, then a Chapter 13 may be for you. Chapter 13 is where you pay all of your creditors through a court ordered payment plan. Our bankruptcy lawyers Joliet specialize in all matters of Chapter 13. In a Chapter 13, you don’t lose any of your property or assets, but you must use your income to make the monthly plan payments. The typical term plan lasts anywhere from 36 to 60 months and the percentage you must pay depends on your assets and income level. Can I protect some of my assets in bankruptcy? Retirement Plans – such as a 401 (k), 403 (b), IRA, profit sharing, and annuities. Retirement Plans are exempt if they are considered a qualified retirement plan. Up to $30,000.00 in equity in your home / condo. Tools of the Trade – up to $1,500.00. Vehicles – up to $4,800.00. 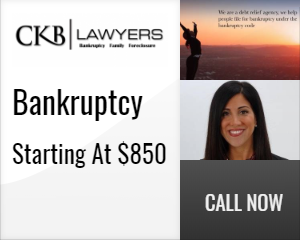 At the CKB Lawyers, we provide coverage on federal and state matters, including bankruptcy 341 meetings, bankruptcy court matters, foreclosure matters, state court, and dissolution matters.